WALT, WILF and TIB… What on earth is this? The main focus of Explicit Teaching is student learning, understanding and skills rather than the task and activity. 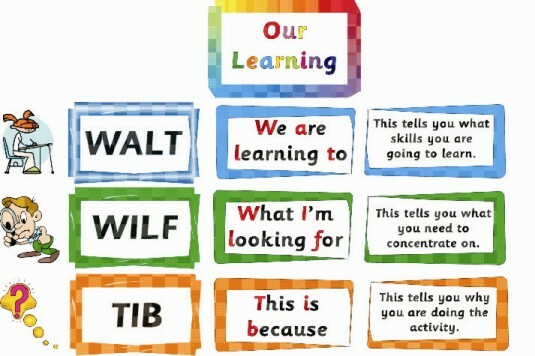 WALT, WILF and TIB are all acronyms that encourage more explicit learning and teaching that are becoming more and more common in schools. 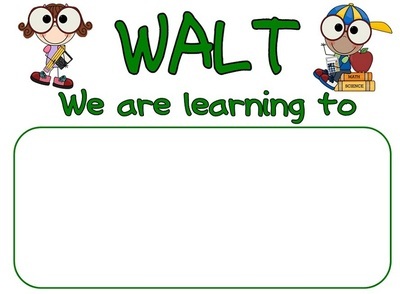 This is the learning objective; a WALT makes the objective, concept, intention of the lesson clear for students. Establishing the WALT differentiates the task or the activity from the actual learning. Students are very articulate in displaying and explaining what they are doing rather than what they are actually learning by completing the task. This section of Explicit teaching allows easy differentiation between the two for students. During my first professional experience the principal of the school I was at walked into the room and asked the student what they were learning and their reply was ‘reading books’. My mentor explained to me this was not the answer he was looking for. The next day the principal came in again and asked the same question, but the reply was different. The students replied with ‘we are learning to make inferences’. They were able to differentiate between the activity (reading the book) and the learning (making inferences about that book) because at the start of the lesson I went through the WALT process. This is the success criteria; the WILF gives the students and the teacher a criteria to judge how well they are doing. 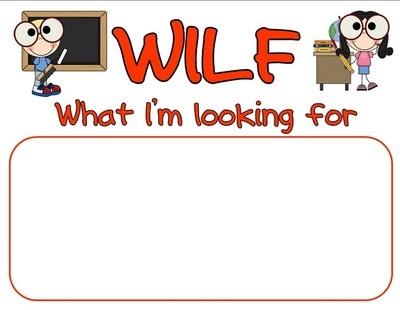 Establishing the WILF gives students something to aim towards rather than just the completion of the task and allows them to determine what the teacher will be looking to mark/grade/judge their abilities on. During the same lessons described above in the WALT section, I asked the students what I was looking for when I sent them off to do their inferences activity. One student replied to me with ‘we need to complete the sheet before lunch’. This was correct but not the answer I was looking for. The next day after explaining the WALT, I went on to explain that I was looking for students to be able to make inferences. This is the purpose of the learning. Research shows that students are more motivated when they know why they have to learn the content and not just ‘because we have to’. 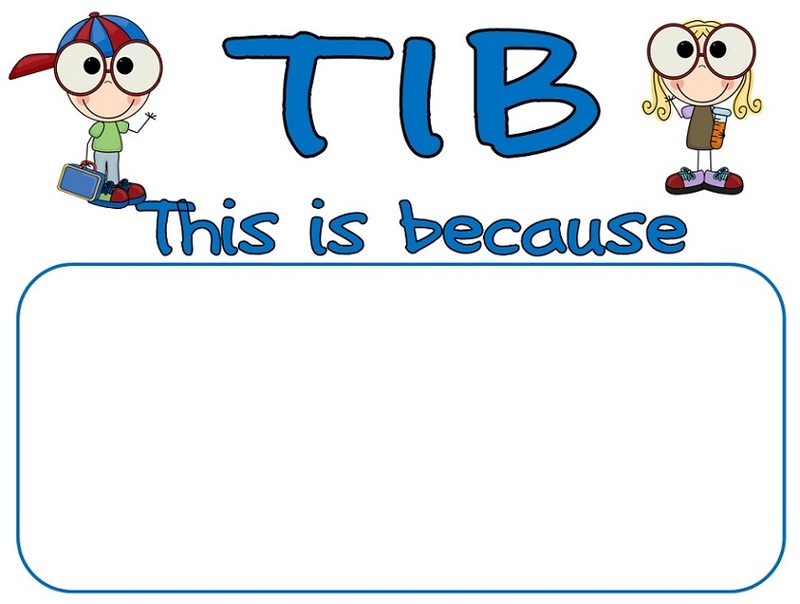 TIB allows students to clearly make connections between particular skills or understandings and real world problems and the application of the concept. Why are we learning this is a common question asked by all students (from prep to tertiary level) and TIB allows for that explanation. For a deeper explanation of WALT and WILF I found the ‘Helping Children to Learn‘ Booklet aimed at parents and caregivers excellent. Posted on March 16, 2015 by Kristyl	• This entry was posted in Uncategorized. Bookmark the permalink.